Money makes the world go round, and it also comes very much in handy for keeping your business afloat. A company needs more than good intentions and a good plan; without income, it’s dead in the water. Accounts receivable and cash flow are inextricably linked, and we’re about to take a look at how the former affects the latter, and then concluding with a few ideas on how to improve the overall picture. Just to make sure everyone’s on the same page, here are a few definitions to consider. Accounts Receivable. Accounts receivable are transactions for goods and services that have yet to be collected. For instance, if you designed a website for someone and delivered the completed product but haven’t been paid yet, that would be considered part of accounts receivable. Cash flow. A cash flow is a revenue stream that changes your liquid assets over a given period of time, both by income and outgoing expenses and/or investments. A household that brings in two paychecks every other weeks and pays out money for utilities, food, and other goods and services has a cash flow. Now, on to how accounts receivable impacts your cash flow. Going back to the web designer example, a designer could have created four different websites and sent out bills for services rendered totaling $10,000, but until that money comes into his or her hands, it’s just a number; it’s something that will arrive at some point, hopefully sooner rather than later, but as of now, the designer can’t use it. It’s good for a company or freelancer to know that there is money out there that will eventually arrive, but the element of uncertainty as to when it’s coming pretty much nullifies its immediate use. Try telling an impatient mobile phone service provider that you don’t have the funds to pay that overdue bill, but that sometime in the next 30 to 60 days, you’ll be positively swimming in cash. You can spent what you don’t have. Let’s not even get into what would happen if you can’t pay your employees on time, and the best you can do is promise to give them their checks at some point in the near future. They have their own cash flows to consider, after all. Say your business is considering an upgrade in equipment or services. You need to invest money in these kinds of improvements, and if you don’t have that cash on hand, it’s hard to get it done. This becomes particularly frustrating if those improvements are crucial to increasing your overall cash flow. Back to our unfortunate web designer. It turns out that the client is really dragging their feet in paying the bill. The designer will now have to spend more time, effort, possibly even money, in an effort to collect that overdue bill. All the while, the non-payment is affectng cash flow, and more expenses are getting racked up in the process. Or for a different example, take a look at the health care industry. If a health care provider is billing an insurance company or Medicare for services rendered, those third-party payers can hold things up and drag their feet by insisting on absolutely perfect compliance with their requirements. According to “How to Decrease Hospital Accounts Receivables Days”, in addition to persnickety third-party payers, there’s also the possibility of a lack of communication between departments, IT problems, or staff that’s not properly trained on billing cycle management. Now that you’ve been exposed to a depressing litany of accounts receivable pitfalls, surely the big question is “What can be done?”. Here are a few fixes that could help mitigate the problem. Shorten the collection cycle. While there will always be customers, clients, or patients who drag their feet in paying their bills, most people as a rule will pay their bills on time or close to it. With that in mind, shortening the bill collection cycle by even just a few days can increase cash flow and decrease accounts receivable. Don’t put off sending out the bill. Somewhat related to the first point, timing is everything, and not promptly sending out an invoice for goods or services rendered will cause cash flow problems down the road. Customers tend to lose the urgency to pay a bill if there is a significant time lag between delivery of goods or services rendered and the receipt of an invoice or statement. Improve training. The best way to make sure that everyone involved in the accounts receivable and cash flow processes are on the same page is to see that everyone receives the same training on a set of standardized, company-wide procedures. It’s truly incredible (and somewhat scary) what gaps in knowledge some employees may harbor. If everyone knows what they’re doing, that eliminates waste and confusion. Get better tools. There’s a host of software packages that are designed to expedite the entire billing process and help get things better organized. These utilities bring a system of organization and accountability into the mix, and help prevent things like delayed billing or overly long collection cycles. The article “Top Free Resources For New Businesses” touches upon something called FreshBooks, that helps with invoices and collections. Of course, if the personnel in-house aren’t up to the task of taking accounts receivable to the next level, there’s always the option of outsourcing. Granted, it’s another expense, but it may be a case of a short-term expense resulting in a long-term improvement of the business’ cash flow. But one way or another, businesses that want to stay around need to make sure that they have a healthy cash flow. 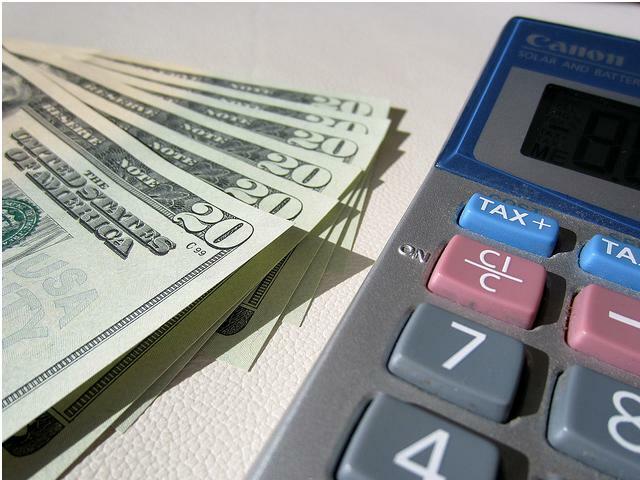 Solving the accounts receivable conundrum is a big part of that equation.